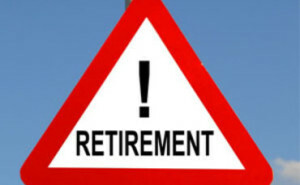 As we speak to more and more seniors close to retiring we are noticing that many are very insecure about retirement. The major reason is uncertainty with the economy, poor savings habits, and financial markets. The typical working household close to retirement age had only 111k at the end of 2013 in their 401 (k) savings plan at work and individual retirement accounts outside of work. Even though we had a significant rise in the stock market in the past five years households still have less stashed away than they did in 2010. I believe the decline is as of a result of hard times starting after the crash in 2008. Most of America had to tap into retirement savings, 401 k plans and life insurance in order sustain a regular life style throughout the hard financial times. We have also seen a big surge of retirement accounts declining due to hefty college tuition, layoffs and consumer debt. Here is a great article from Detroit News that goes over this more in detail. At first blush, the amount people contribute to 401(k) plans seems healthy. The median savings in a 401(k) is 9.2 percent of pay, with about 6 percent coming from employees, the rest matching money from the employer. While 9.2 percent seems like a good rate, half aren’t saving that much. The problem is exacerbated by inconsistent saving throughout working lives. People may contribute on one job, but not another. When leaving a job, people often take money from their 401(k) accounts and spend it. They also erode savings by taking loans from their 401(k) accounts. It all may seem harmless but over a worklife, thousands — even hundreds of thousands — come out of their retirement sum.